My family loves to try and help others in need at Christmas time and I know a lot of other people do too! Do you ever think about the needs those same people have year round? The 12 Months of Giving is a way to bless others year round and keep that Christmas spirit flowing! What is 12 Months of Giving? The 12 Months of Giving is a way your family can bless another family for the whole year! Start in January if possible…if you are reading this in May…it is NEVER to late to help someone else! Each month you will do something special for another family. I will give you some ideas, but you can definitely customize this program to what your family is able to do based on your time and resources. 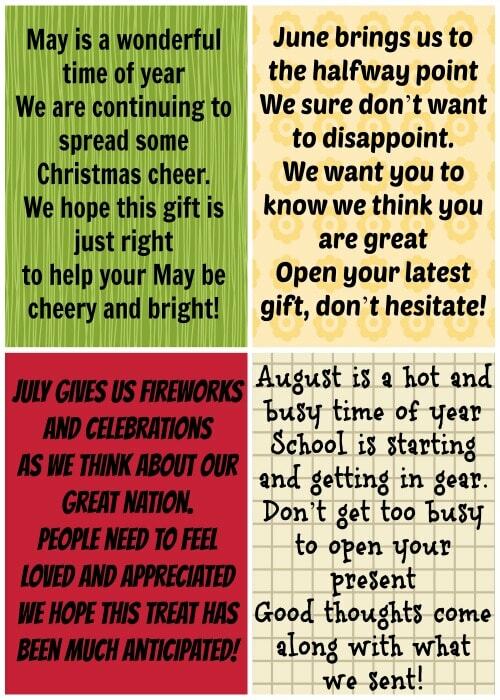 It is fun to time these gifts out each month on the 25th day…like Christmas…but it isn't necessary! Who do You Pick for the 12 Months of Giving? 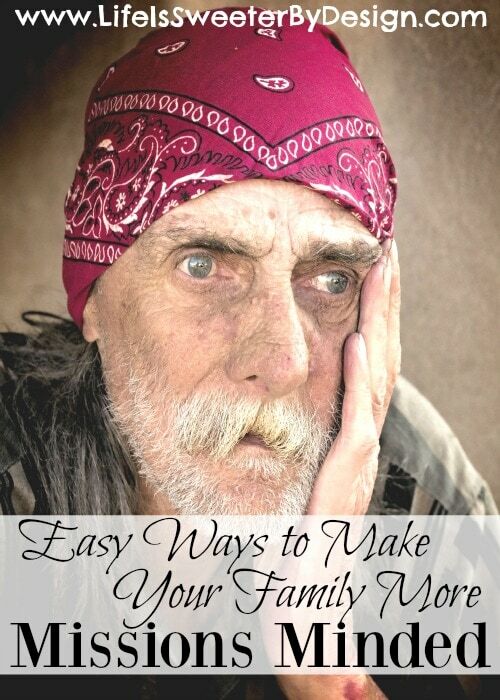 There are usually an unlimited list of families that need help financially. Think about what your family's goal is with this project. Do you want to help a family that is very stressed financially? There are other people who can use encouragement too. Think outside the box…is there someone in your area who recently lost a spouse or child? Is there someone that you know if very lonely and could use a monthly dose of encouragement? If you don't know anyone personally that would make a good candidate you can always ask your local police officers, pastors and even teachers for recommendations! They are typically very aware of those in need financially and emotionally in the community! 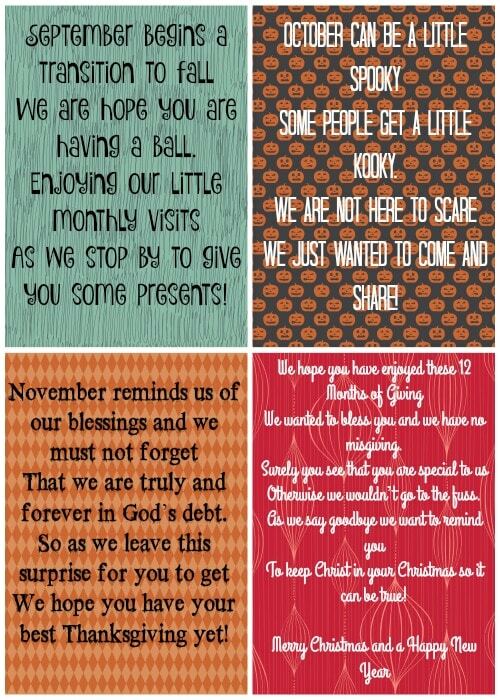 Each month you will decide on some kind of gift to leave the family you have picked. There are unlimited options of what to give. Part of your decision will be based on why you chose that particular family. I am going to list off a bunch of ideas based on different scenarios! I hope some of these ideas will spark your imagination! Leave special food items for different holidays during the year….ham on Easter, stuff for Hamburgers on Memorial Day, Halloween Candy in October, trimmings for Thanksgiving dinner in November, etc. 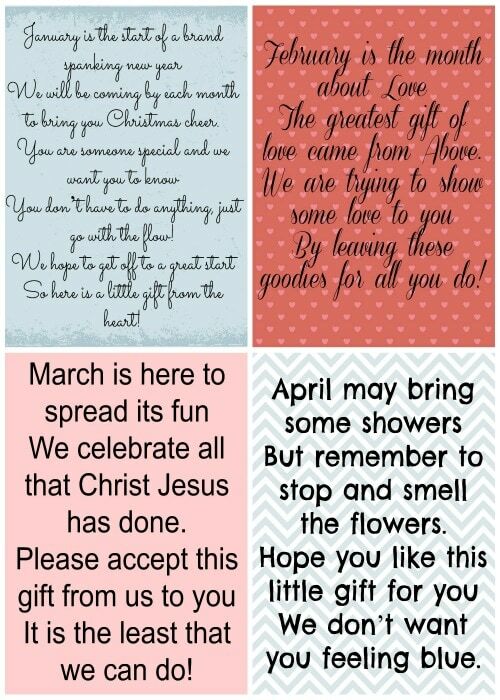 You can align your gift with the theme for that month…give a basket of Valentine themed goodies during February, Easter themed gifts during March, etc. Themed basket of treats: for instance a basket with the ingredients to make a spaghetti dinner, including a loaf of garlic bread, salad, etc. Coffee Mugs, big bag of nice coffee, creamer, etc. Pamper Them basket…body wash, loofah, lotions, etc. You can come up with ideas based on the person's interests, likes, etc. If they have children you can include things each month that they kids would like. The best part of the 12 Months of Giving is that your family can work together to come up with ideas each month. 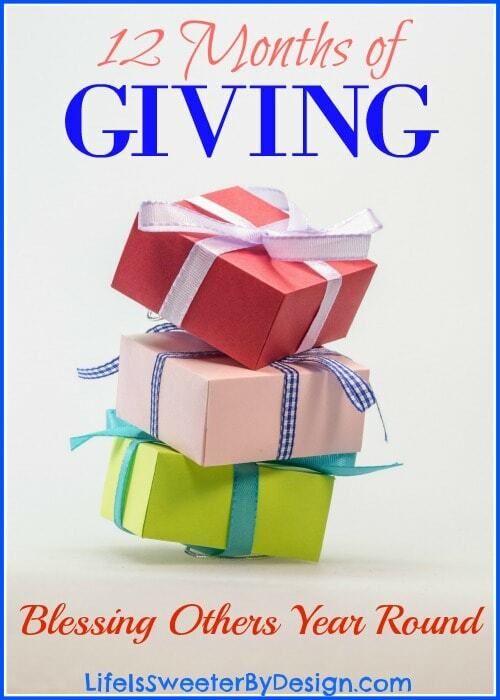 It is a time to put other people first and is a great way to involve your children in giving! I am NOT a poet…and when you read my little monthly poems I am sure you will agree, LOL! Nevertheless, I did write some small little poems that you can use each month if you want! If you are gifted in poetry…you will want to write your own! I have made these into a printable so that you can just print them off if you want to use them! Just Click HERE, HERE and HERE for each of the printable cards! What are your thoughts on the 12 Months of Giving? Is this something your family will do this year? I would love to hear how it goes and what gifts you give!! 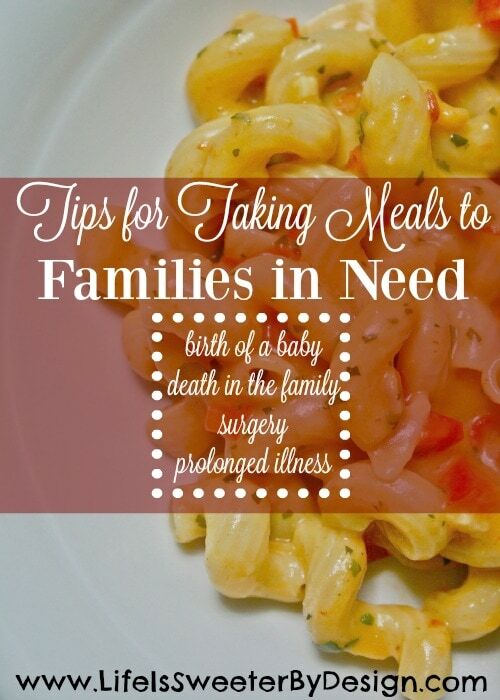 Be sure to check out my Tips for Taking Meals to Families in Need and Easy Ways to Make Your Family More Missions Minded!